Gary Lineker took to social media to back Arsene Wenger after Arsenal claimed an impressive 5-2 victory over Everton in the Premier League on Sunday afternoon. The Gunners had fallen behind in the 12th minute at Goodison Park when Wayne Rooney fired in to put the home side ahead on Merseyside. However, Arsenal equalised before half-time thanks to Nacho Monreal’s strike. Mesut Ozil’s header then made it 2-1 to the Gunners in the second half, before Alexandre Lacazette netted his fifth Premier League goal of the season. Aaron Ramsey then added a fourth for the visitors, before Oumar Niasse pulled one back for Ronald Koeman’s men late on. Alexis Sanchez then scored a fifth for Arsene Wenger’s men as they returned to winning ways in style following their defeat by Watford last weekend. 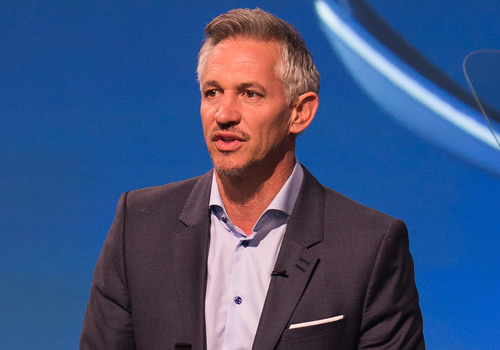 And Lineker could see the funny side about the calls for Wenger to leave The Emirates, as he issued a tongue-in-cheek backing for the Frenchman during Arsenal’s strong display. Arsenal are now fifth in the Premier League table after the victory on Merseyside.